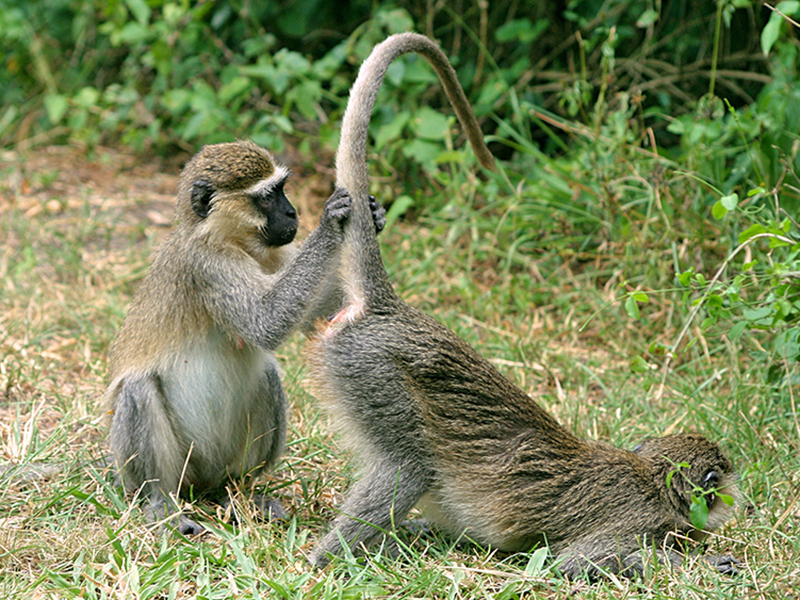 Explore beautiful Uganda by extending your adventure with an African excursion. 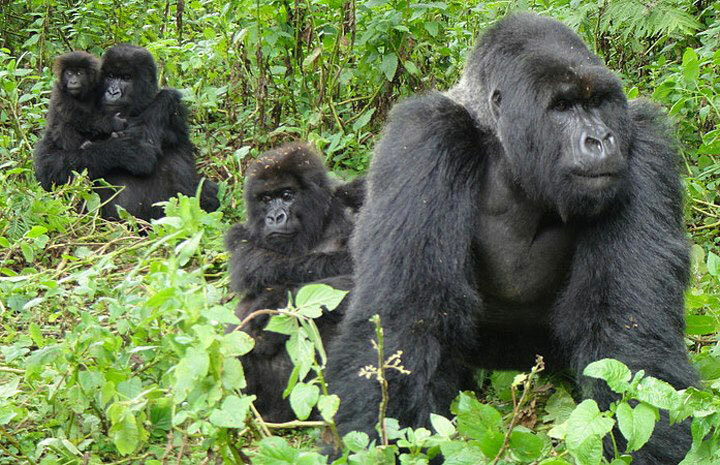 Uganda is home to over half of the world’s remaining Mountain Gorillas. These gentle giants are an endangered species, with less than 700 remaining in the wild. Trek into Bwindi Impenetrable forest to come face to face with man’s closest relative for a day that you will remember for the rest of your life! Experience the breathtaking African scenery in your own bespoke adventure. 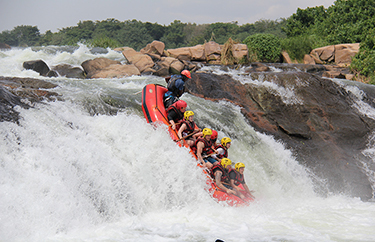 Go white water rafting at the source of The Nile, Fly in a bi-plane over Lake Victoria, take in astonishing waterfalls or just enjoy the African Savanna. 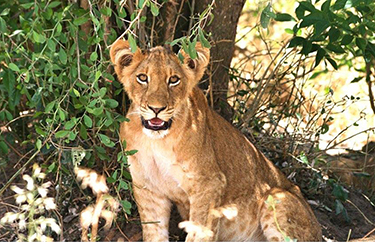 Jouney on safari to The Queen Elizabeth National Park, home to some of Africa’s largest and most spectacular wild animals, including tree climbing lions, elephants, hippos, buffalo, leopards and much more. Download the extensions brochure and see how to turn your trip into an adventure of a lifetime! Turn your trip into a holiday of a lifetime with one of our extensions! Uganda is home to over half the world’s remaining mountain gorillas. These gentle giants are human’s closest relative and seeing them in the wild is a breathtaking experience that few get to behold. Trek through the jungles to come face to face with a family of gorillas, including a mighty silverback! Then spend time at the great lake, mounting a bike to cycle up close amidst zebras. 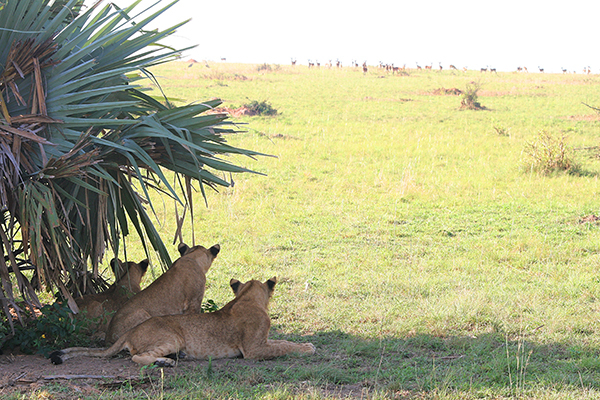 Enjoy an unforgettable 5 days seeing all the wildlife that Uganda has to offer. Afer seeing the gorillas in the jungle, you’ll head to the savannah plains of the Queen Elizabeth National Park for an authentic African safari. Home to 100 mammal and 606 bird species, you will have the opportunity to see elephants, lions, buffalo, hippos, leopards and so much more! The perfect mini-safari if you have some time to spare in Entebbe before or after the 7-day adventure. Surrounded by the peaceful waters of Lake Victoria, Ngamba Island Chimpanzee Sanctuary is home to 49 orphaned chimpanzees rescued from across East Africa, otherwise destined for life as a pet or experiments in labs. 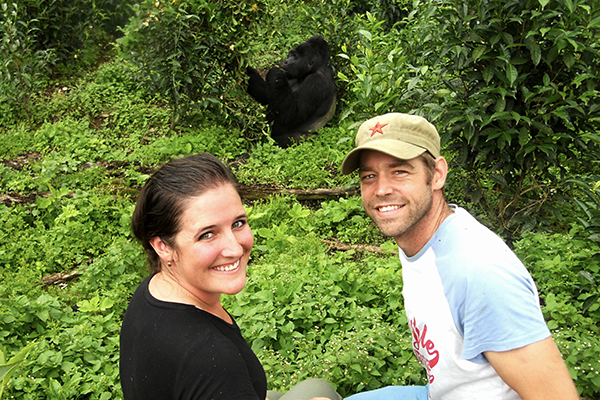 Upon arrival, you will be greeted by the caregivers who look after the chimpanzees. You’ll be shown to the visitors area, which includes a restaurant, places to relax and over 154 species of birds, as well as otters and water monitors. Before viewing the chimpanzees, you’ll be given an informative presentation to explain the sanctuary’s background, aims and objectives, as well as facts about the chimpanzees. You’ll then get to walk through the sanctuary, getting up close within metres of the chimpanzees at feeding time. There are amazing photographic opportunities as well as just enjoying being close enough to view one of our closest animal relatives. 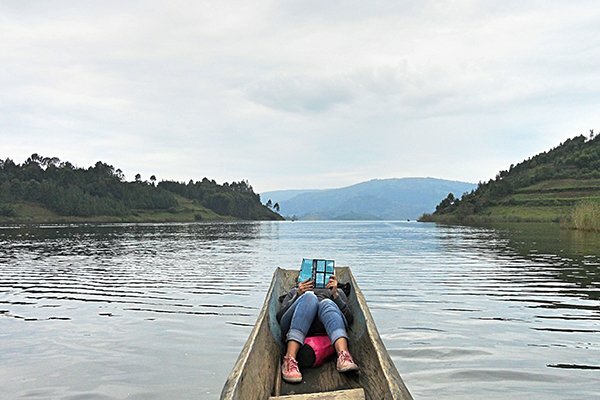 Uganda is filled with amazing attractions and beautiful sights to see. 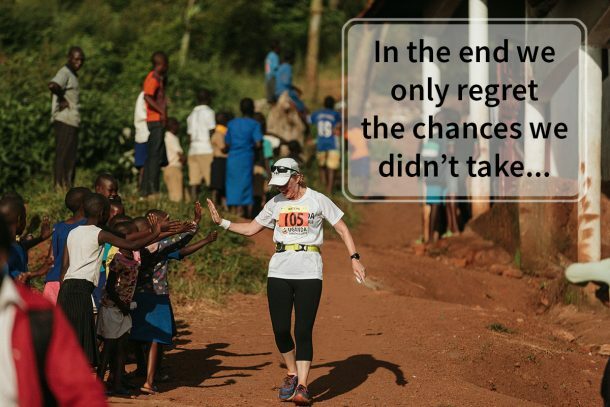 Our partners at Go2Uganda can help you put together your perfect trip where you see and do all the things that you’ve dreamed of. Whether it’s a budget backpacking tour across the country or a luxurious holiday, we’ll help you put together something unforgettable. 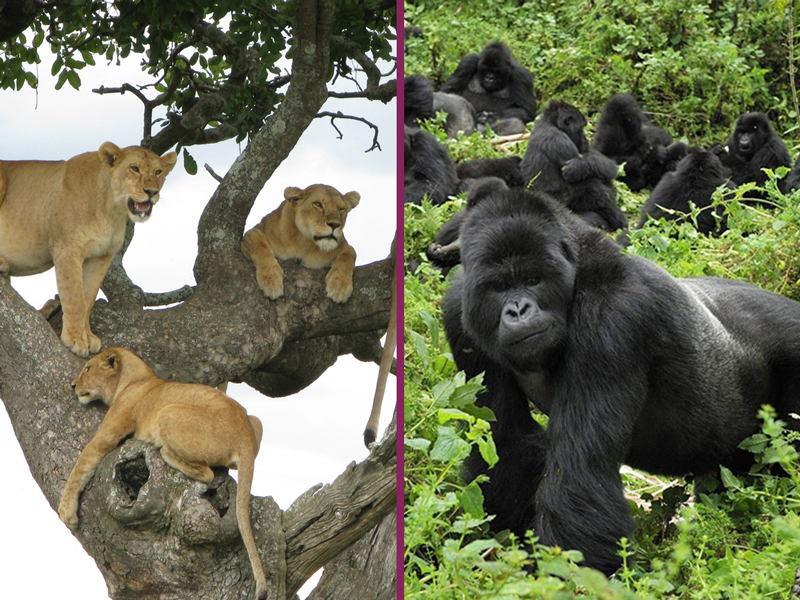 For more information on these incredible extensions to your Ugandan adventure, download our brochure.